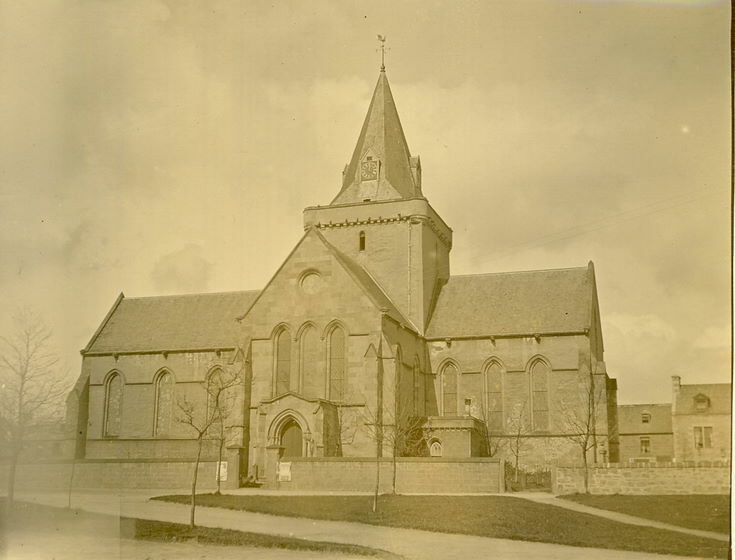 Monochrome photograph of Dornoch Cathedral with bare, young trees in place on the green. From an album of postcards and photographs taken by Mrs J.I.C. Mackay of Dornoch and its surrounding area.